Which pressure cooker should you choose? Pressure cooking is the process of cooking food; using water or other cooking liquid, in a sealed vessel known as a pressure cooker. Pressure cooking is only a few hundred years old, and it only really became popular for home use in the last century. Traditionally, before the invention of modern pressure cookers (which are essentially pots with really well-sealed lids), cooks used to try to accomplish this faster cooking time by weighing down the lids of their pots with stones. This prompted one French inventor to created the first mechanically sealed lid for a pot in 1679 (the lid was screwed in place and weighed down with weights). Pressure cooking was born. In 1679, French physicist Denis Papin, better known for his studies on steam, invented the steam digester in an attempt to reduce the cooking time of food. 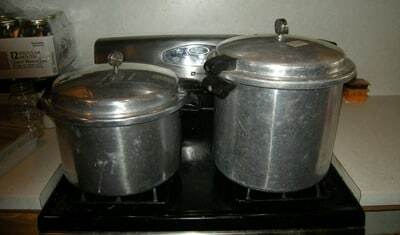 His airtight cooker used steam pressure to raise the water’s boiling point, thus cooking food more quickly. The science shows pressure cooking is healthy, that it can preserve more heat-sensitive nutrients than any other cooking method because of its shorter cook times. The difference it creates in the boiling point of water is well within the range of a normal difference on this planet. Electric pressure cookers, slow cookers, or “instant pots” as they are colloquially called, are quickly supplanting rice cookers, crock pots, and other one-function appliances in America’s kitchens because of their ability to make dinner in a hurry with little fuss. Gourmia electric pressure cookers have the same construction and features across models and sizes. Each electric pressure cooker has a stainless steel body and a nonstick coated removable inner pot. Each pot comes with 13 programmable cooking modes: meat, poultry, soup, steam, sauté, slow cook, dessert, beans, porridge, rice, timer, preset time and warm. Every Gourmia pressure cooker has a 24 hour delay timer and can be programmed to pressure cook for up to 90 minutes. When cooking is done it will automatically switch to the keep warm setting. A convenient feature of the Gourmia pressure cookers is their automatic restart. If there is a power loss during cooking, when power is restored the cooker will resume cooking. There are a few features that are common amongst electric pressure cookers that are lacking in the Gourmia. They do not have a browning mode for meal prep. They also cannot be used for making yogurt. But if you’re interested in how does a yogurt maker work its worth reading into. Instant Pot electric pressure cookers have more variation in their features than Gourmia cookers. 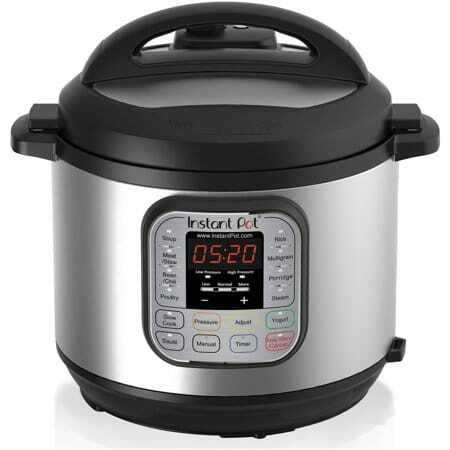 But are the common features that have amongst Instant Pot pressure cookers, and what sets each model apart. The pressure cookers also have preset programs, the number of which varies between models. The presets are controlled by a microprocessor that monitors and adjusts settings as needed during the cooking process. The safety features are the same amongst all Instant Pot pressure cookers. Each has ten built-in safety mechanisms designed to prevent pressure related accidents. Instant Pot pressure cookers all have a delay cook timer for up to 24 hours. They also have an automatic keep warm setting, which will start immediately after cooking is completed. The removable inner pot of Instant Pot cookers is stainless steel. They each come with a steam rack, measuring cup and rice scooper. IPLUX50 and IPLUX60 only cook at high pressure, while all others cook at high and low pressure. Both IPLUX50 and IPLUX60 have one pressure sensor, while all others have two pressure sensors. IPLUX50 and IPLUX60 have 10 preset programs. The IPDUO models have 14 preset functions. IPLUX60 version 3 can pressure cook for up to 240 minutes, double the time of the version 2. It also has a preset for cake and eggs. In addition to the six main features all IP-DUO models have a seventh function which is yogurt making. The IP-DUO Plus60 has additional main functions for a total of nine; egg cooker and sterilizer. The sterilizer allows you to pasteurize milk and sterilize items like utensils and baby bottles. IP-Smart Bluetooth has Bluetooth connectivity which is used to program preset recipes using a free app. You can download recipes or create your own. Gourmia has a larger variety of sizes. If you need a larger capacity pressure cooker they have a 10 quart and 12 quart option, while the largest Instant Pot Pressure cooker is 8 quarts. They also have a small 4 quart cooker; while Instant Pot’s smallest is 5 quarts. All Gourmia pressure cookers have 13 preset cooking programs, which is more than the IP-LUX50 and IP-LUX60 that only have 10 preset programs. Instant Pot IP-DUO and IP-Smart models have dual pressure sensors and a microprocessor to improve consistency in cooking. With the exception of the IP-LUX models, Instant Pot pressure cookers have more presets and main functions, including being able to make yogurt. Instant Pot offers pressure cookers with unique and advanced features, like wireless connectivity and programming of the IP-Smart Bluetooth, and the sterilize feature of the IP-DUO plus60. Instant Pot makes some of the most popular pressure cookers on the market. When compared to other pressure cookers its rare that you find one with the quality and features of an Instant Pot Pressure cooker around the same reasonable price. Between the two brands presented in this article again there’s pretty much no contest. 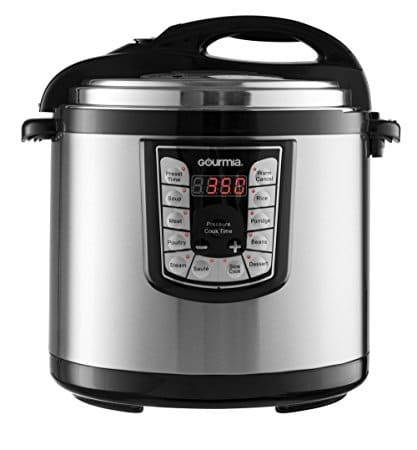 There are very few reasons to choose a Gourmia pressure cooker over an Instant Pot. 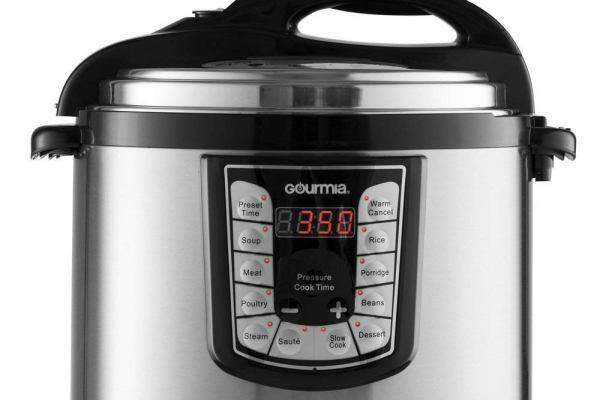 One of the few reasons you might choose a Gourmia pressure cooker over an Instant Pot is if you need a size that isn’t available with Instant Pot. If you need a small 4 quart size, or a large capacity 10 quart or 12 quart pressure cooker you should go with the Gourmia. Between both brands the IP-LUX models are most comparable to the Gourmia models. When comparing these two you might be tempted to go with the Gourmia because of the additional presets, but there are still reasons to go with Instant Pot. If safety and quality are important to you, Instant Pot is the way to go. The IP-LUX models have a stainless steel inner pot and the 10 built-in safety features. When comparing the Gourmia pressure cookers to the rest of the Instant Pot family, the superiority of Instant Pot becomes even more apparent. Again, the safety features and quality of these products are key difference that makes Instant Pot the better choice. If you are making your decision based on the features, again you would want to go with one of the Instant Pot pressure cookers. liking the idea of being able to easily program your pressure cooker from your phone, go with the IP-Smart Bluetooth. Or being able to sterilize and pasteurize will be useful to you, then get the IP-DUO plus60. If you don’t need any of the previously mentioned special features, one of the other IP-DUO models will be a great choice. They have all of the main functions common in most pressure cookers, with the quality of manufacturing Instant Pot is famous for. Related: Which All-Clad Cookware Collection Is Right For Your Kitchen?